Dataturks – Online tool to build Image Bounding Box, NER, NLP and other ML datasets. 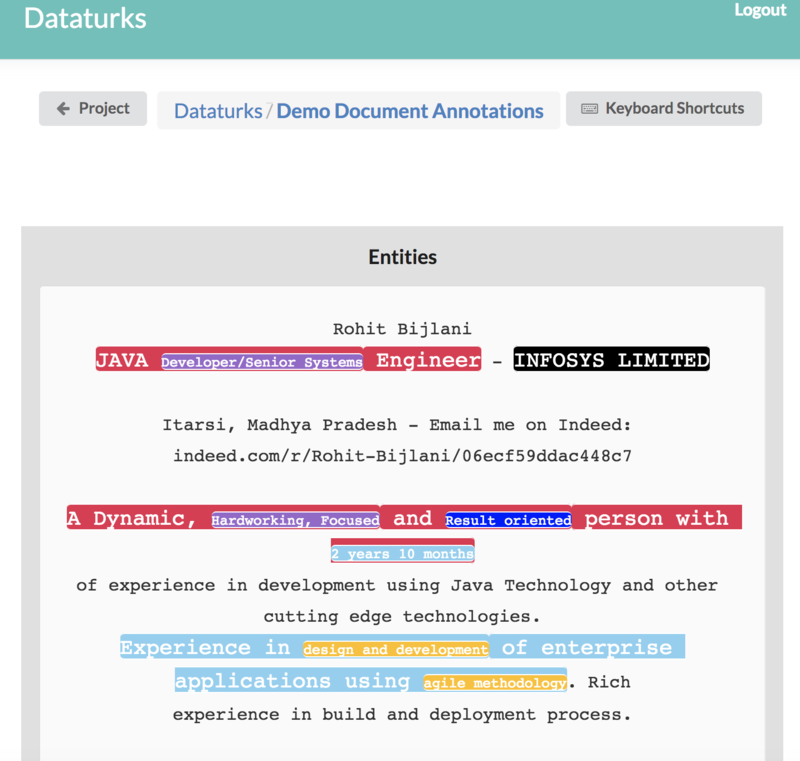 ML data annotations made super easy for teams. Just upload data, add your team and build training/evaluation dataset in hours. We partner with 1000s of companies from all over the world, having the most experienced ML annotation teams. DataTurks assurance: Let us help you find your perfect partner teams. Your exclusive team, train them on your use case, define your own terms, build long-term partnerships. Support for all your data annotation needs. Mark bounding boxes and annotate right from a browser. Full length document annotations (PDF, Doc, Text etc). Draw free form polygons and generate image masks. 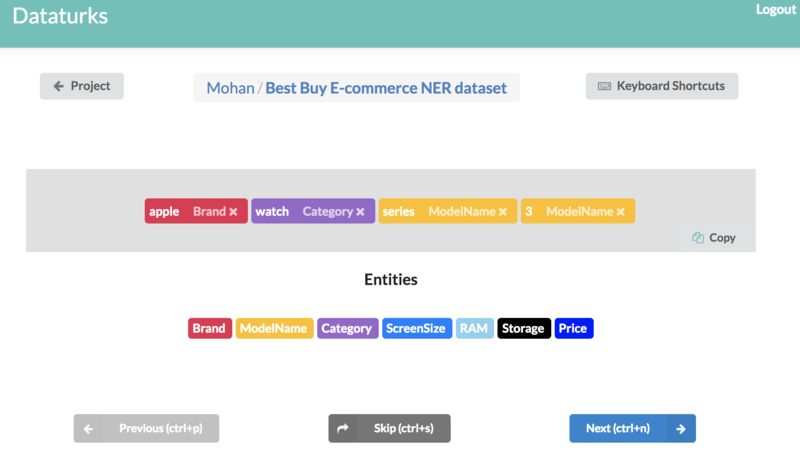 A super easy interface to tag for PoS/NER in sentences. Track performance and improve efficiency. 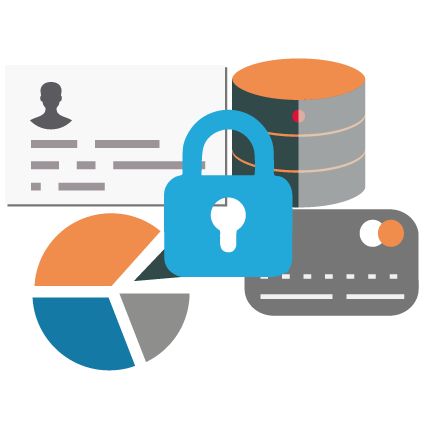 On-prem data, Granular access control, Highly-Scalable platform. Join thousands of startups using Dataturks and super-charge your AI models. Create project, select your use-case image-bounding, document annotation etc. Upload your data, be it images or urls or text/pdf files. Invite your team to continuously create annotations.